Like all M Series models, the M30D is optimized for 4?, and with its output power ideal for small to medium sized sound systems where e.g. no more than two 8? loads are connected in parallel to an amplifier channel: Why overpaying for amplifiers capable of driving 2? loads? Maximum efficiency warrants minimum current draw, heat dissipation and power consumption, resulting in « green » products, saving the user a substantial amount of money over time. The M30D HDSP+ETH version provides on-board DSP and Ethernet interfaces. 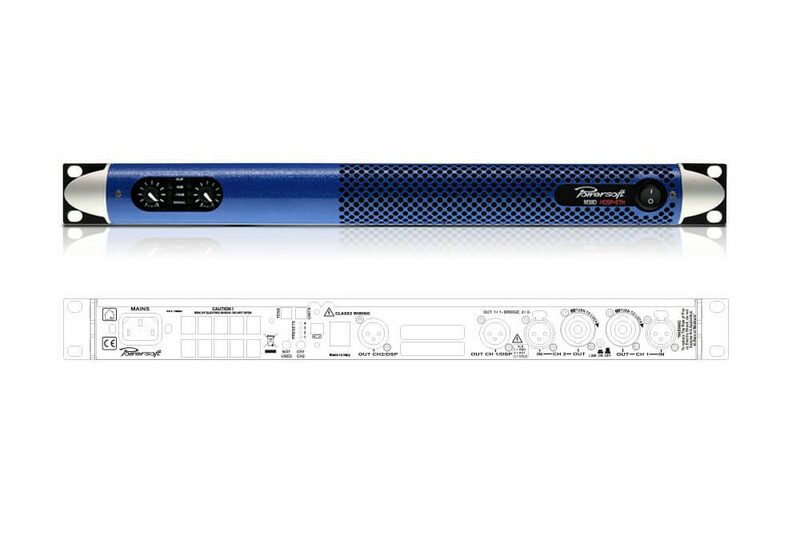 The high-performance DSP is hidden inside and safe against accidental or intentional tampering; monitoring and amplifier settings can be done via Armonía Pro Audio Suite™ (Interface available for MediaMatrix, Crestron, AMX, Q-SYS control and monitoring systems). Locally, the M30D HDSP+ETH lets the user access up to four presets per pushbutton on the rear panel.